We are pleased to announce the return of the “Smart n’ Up Black Male Youth Summit” Tour beginning in January 2018, presented by Headliner Market Group. According to statistics, one in every three Black males will see prison in their lifetime if current incarceration trends do not change. If properly inspired, instructed and redirected young Black men and boys can escape this dreaded fate. 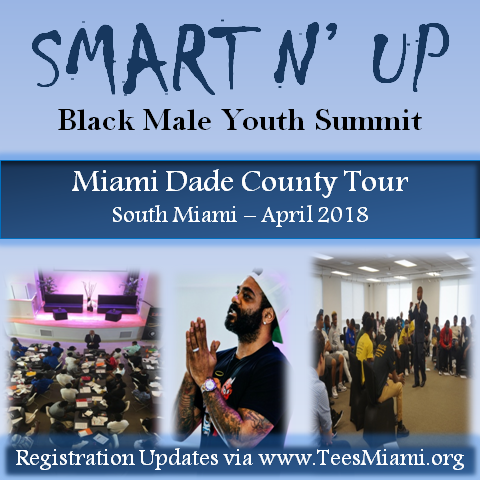 We address those issues in a way TAILOR MADE to penetrate the soul and awaken the consciousness of inner-city males. We respect your privacy. We promise never to share, trade, sell, deliver, reveal, publicize, or market your email address in any way, shape, or form.